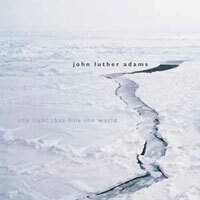 Morton Feldman-influenced fence post-minimal composer and Cal Arts graduate John Luther Adams has been at it since the mid 1970s, writing nearly two dozen pieces prior to the three found on his Cold Blue CD from 2002, The Light That Fills the World. “The Farthest Place” opens the disk with a pleasantly percolating 11-minute long wisp of sound comprised of piano, electric piano, vibes, marimba, violin and doublebass over a comfy bed of bass clarinet. The title track ebbs for a couple of minutes longer and comes complete with a generous portion of low-end electronic hums. The third and final track, “The Immeasurable Space of Tones,” stretches out to nearly a half hour, and really expands upon and drives home the sonic properties contained in the first two. The influence of the landscape of Adams’ Alaska home–from the subterranean rumbling of its volcanic magma to the highest crags of its soaring peaks—transfers into a most lovely, blasting mist of flowing, human sound. 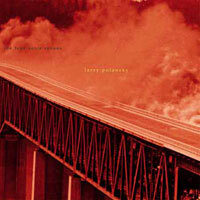 A hazy, floating atmosphere permeates this music wrought by Los Angeles-based, Harry Partch-inspired composer Chas Smith and his arsenal of self-built metal instruments*, including the Adkins, Bass Tweed, Copper Box, Guitarzilla, Junior Blue, DADO, Majestic and Mantis; plus a little flute, cello, choir and wind ensemble thrown in here and there. Yay, verily! Get this into thy head: vigorously bowed single notes with ultra-long sustain, heavily reverberated knocks, and deep, echoing, metallic ambience. All aboard! All of the above abounds. 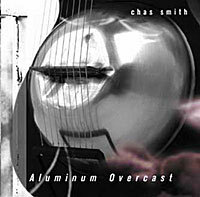 Indeed, Aluminum Overcast is the perfect title for this ever-glimmerin’ Mammoth Cave o’ vastness. Fans of Harry Bertoia and the Baschet Brothers would do well to investigate this little platter of perpetual pleasure. Way recommended. *“Resonators that sprout rods, which are bowed and struck; large, clangorous sculptures of titanium; metal strings strung across multiple resonators; and vibraphone-like arrays of metal plates.” Also featuring Oja Fin on voice, Anon on flute and cello, the Reseda Women’s Choir on voices and the Reseda Wind Ensemble on flutes. Mostly quiet, delicate, floaty and melancholy, this 2001 collection of clarinet-led acoustic music does not hesitate to swerve into a lengthy and quirky hair shirt workout once or twice. Featuring works from six different composers, including Daniel Lentz, Peter Garland, Jim Fox, Michael Jon Fink, Rick Cox and Michael Byron, and headed by Marty Walker on clarinets, this music aims to please–and please it does. Breathy spoken female vocals, pleasantly tinkling piano, melodic yet moody clarinets of every kind, digital delay, soothing harp, tooting trumpet and moody vibes–it’s all here, a ready and willing snack for your hungry, night-loving eardrums. 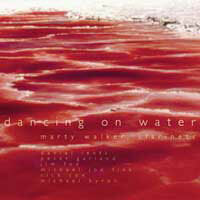 Featuring Susan Allen on harp, Rick Cox, David Johnson on vibraphone, Amy Knoles on voice, Bryan Pezzone on piano, Waddada Leo Smith on trumpet and last but not least, the highly-esteemed William Winant on percussion. Michael Jon Fink is a composer of orchestral, chamber, keyboard, instrumental, electronic and vocal / dramatic music who has been working since the early 1970s. 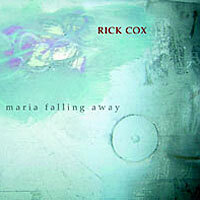 He has also been teaching composition, orchestration and analysis at Cal Arts since the late ’80s. 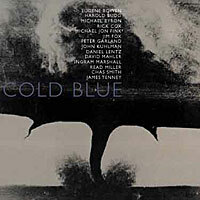 His first full-length CD for Cold Blue, I Hear it in the Rain, kicks off with “Five Pieces For Piano,” which, as its name might hint, is chock-full of super sparse, forlorn solo piano and celesta music of the highest order. “For Celesta” stands out from the gloom with its simple, sprightly melody that recalls a child’s musical box. The centerpiece of the disk, “Living to be Hunted by the Moon,” is a 20-minute-long fog bank full of of dim, sublime drones emitted from a clarinet, bass clarinet and samples. Boasting an electric guitar, glass guitar, sponge guitar, electric bass, electronic keyboard and percussion, the title track closes out the disk with a slowly pulsing, gentle waft of incredibly nice ambient chamber “rock” that is about a million different kinds of pleasant. No matter how you slice it, all of the music on this CD forms the perfect backdrop for you to lounge around on a rained-in Sunday afternoon. 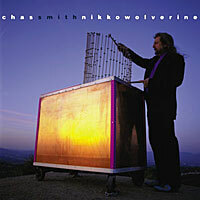 Chas Smith is a performer and composer who plays pedal steel guitar and designs and builds his own sculptural metal musical instruments that combine the influence of two prominent 20th century Harrys—Partch and Bertoia. Most of his music effortlessly floats within the ambient category, as his first CD on Cold Blue from the year 2000, Nikko Wolverine, proves. Layers of bright, shimmering tones supported by low-pitched clouds wrought by the Adkins, Bass Tweed, Copper Box, DADO, Lockheed, Mantis, Pez Eater, SS Disc, Tio and thundersheets drift through your head with the greatest of ease. Even the Reseda Women’s Choir and a pedal steel guitar blend in with the haze in a most indistinct manner. Although the last track is played in a more traditional country slide guitar vein, the overall feeling this CD exudes is as relaxing as a gigantic marshmallow puff gently hovering in a lavender evening sky. 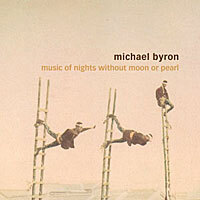 Among many other things, Michael Byron is a modern classical composer who studied with James Tenney and Richard Teitelbaum, a music professor who taught at York University, and an editor of experimental music journals and books. 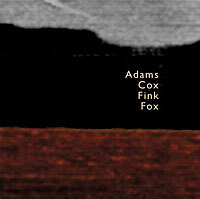 His first full-length CD, Music of Nights Without Moon Or Pearl, from 2000, premieres three long pieces from the 1990s. 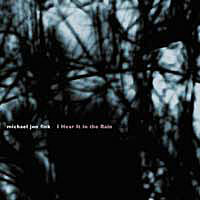 The title track opens the disc with a beyond pleasant 18-minute piece of unintended, unofficial and beautiful minimalism—the aural equivalent of a gentle rain shower. A string quartet, playing the part of the raindrops themselves, lets loose an ever-cascading downpour of pizzicati (plucked strings) over an insistent, repetitive piano roll; electronic keyboard washes and carefree, meandering contrabass lines. You are currently browsing the archives for the Cold Blue category.